Microwave radiation readings are taken inside the class room. However some students have sat directly under or very close to School WIFI Routers and not known about it, and became EHS. 2.461 GHz at 2.603 mW ( 2603 uW/m2 ) 20X as much! 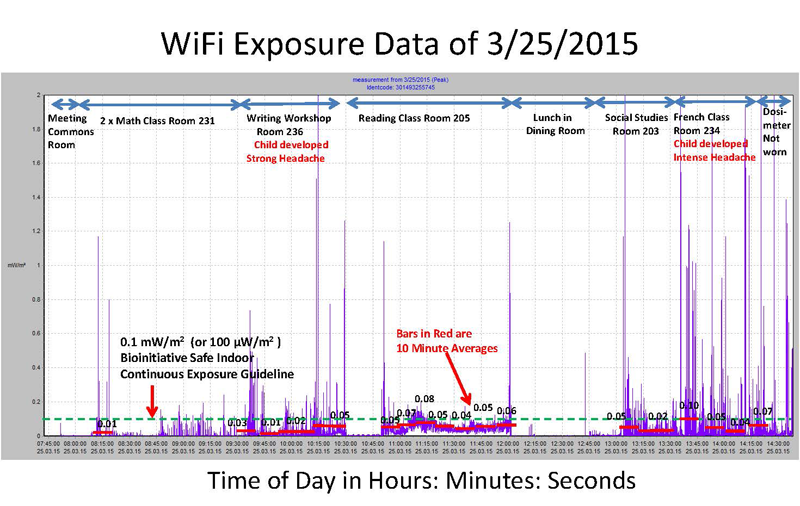 This dosimetry chart above characterizes the wireless radiation exposure to children in a middle school. According to court documents, a lawsuit accusing the prestigious Fay School in Southborough, MA of failing to accommodate a student’s alleged Wi-Fi sensitivity is headed to trial in August. 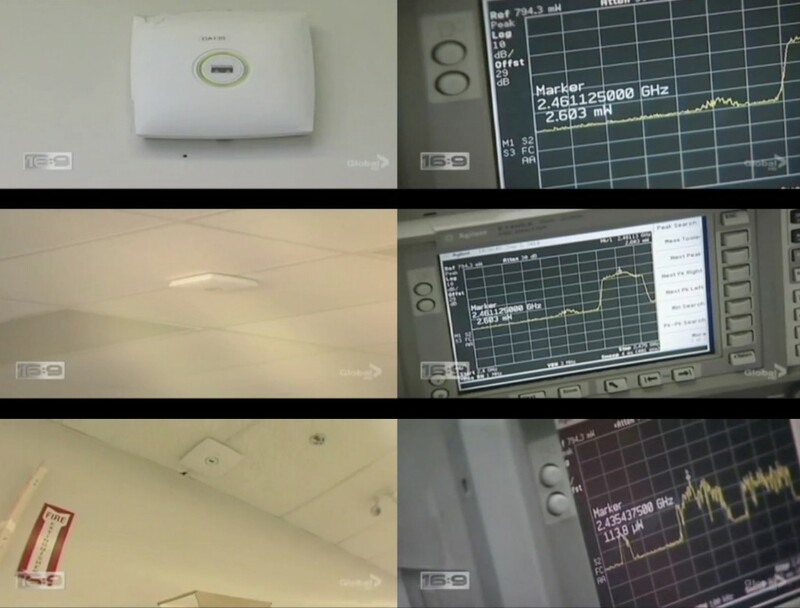 This is an example of how symptoms from high powered WiFi routers in schools can vary both within a classroom and from classroom to classroom. The new school WiFi technology can also be directional in nature so children in the same classroom may even face different exposures depending on where ones desk is in the room. Keep up on news on this subject at Campaign for Radiation Free Schools (Facebook).